With Kenneth Paul Rosenberg, MD, a psychiatrist with 25 years of experience, Upper East Health doctors and therapists treat addictions and psychological disorders. They are licensed and recognized experts in the field. 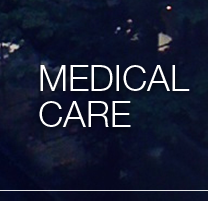 Upper East Health doctors and therapists are licensed and recognized experts in the field. Upper East Health specializes in the treatment of behavioral and addictive disorders. Upper East Health provides the treatments that best serve each patient’s individual needs. Our treatment consists of evidence-based approaches such as motivational interviewing, cognitive behavioral approaches to identify triggers, dialectical behavioral techniques to manage cravings, relapse prevention strategies, insight-oriented therapy to identify deeper causes, family assessment to resolve conflicts, treatment of co-morbid mental illness and addictions, and referral to appropriate 12-step-based recovery groups when appropriate. While our means are many, our main focus is clear: stopping self-destructive behaviors, and then addressing the underlying problem. Due out in 2017 from DeCapo/Pegasus books! A LANDMARK TEXTBOOK FROM UPPER EAST HEALTH!